SearchSecurity.com's screencast series allows top experts to demonstrate popular information security tools and techniques, including tools for vulnerability scanning, network auditing, security reviews and more. and open source tools that security teams can use to get the job done. In our monthly screencast series, SearchSecurity's best experts will walk you through today's popular information security tools, explaining what they do and how to use them. Scroll down and view our archive of screencasts on vulnerability management and identification tools, network mapping tools, penetration testing tools and more. Something missing from our list? If you're looking for an on-screen demonstration of a particular free or open source security or compliance tool that hasn't been featured in our screencast series yet, email us your suggestions. Keith Barker of CBT Nuggets shows how to use the BeEF Project, a free penetration testing framework, to train employees. Keith Barker of CBT Nuggets demonstrates how to use LOGStorm, a free log management system from BlackStratus that organizes and prioritizes enterprise log data. Keith Barker of CBT Nuggets demonstrates how to use TripWire SecureScan, an easy-to-use scanning tool that detects vulnerabilities and identifies servers that are susceptible to Heartbleed. Keith Barker of CBT Nuggets demonstrates how to use Kismet, a wireless network detector, sniffer and intrusion-detection system. Kismet allows a user to see a list of existing networks and details about each one. Keith Barker of CBT Nuggets demonstrates how to use CrowdResponse, a Windows command-line application created by security vendor CrowdStrike, which helps gather detailed information for incident response efforts. Keith Barker of CBT Nuggets shows how to use Prey to track missing Windows and Mac laptops, as well as smartphones and tablets running iOS and Android. Keith Barker of CBT Nuggets provides an AxCrypt tutorial, showing how it makes simple file encryption possible for the average user. Keith Barker of CBT Nuggets explains how to use OpenPuff to hide encrypted data in other files when being sent. OpenPuff is a free tool that gives practically any organization the ability to utilize steganography. Keith Barker of CBT Nuggets provides a w3af tutorial, showing how w3af's many plug-ins can be used to conduct a thorough Web application security scan. Keith Barker of CBT Nuggets demonstrates how just a few of the hundreds of tools in REMnux can be used for reverse-engineering malicious software. Keith Barker of CBT Nuggets provides a brief Nikto tutorial. Learn how to use Nikto to find vulnerabilities, misconfigurations and outdated software versions on Web servers. Keith Barker of CBT Nuggets provides a Security Onion tutorial, demonstrating how even the most budget-conscious organizations can analyze network traffic using the likes of Squil, Snorby and ELSA. Keith Barker of CBT Nuggets guides viewers through an Armitage tutorial, from scanning approved enterprise networks to compromising machines with a variety of readily available attack methods via Metasploit. Keith Barker of CBT Nuggets demonstrates how Denim Group's ThreadFix helps simplify the enterprise vulnerability management process. Keith Barker of CBT Nuggets offers a OWASP Zed Attack Proxy tutorial. Learn how to find and nullify Web application vulnerabilities using ZAP. Keith Barker of CBT Nuggets details how Dexter can be used for the static analysis of Android applications. Keith Barker of CBT Nuggets shows how to use the Mandiant Redline memory analysis tool to conduct threat assessments and defeat rootkits. Keith Barker, CISSP and trainer for CBT Nuggets, reveals how to use the MAP Toolkit security assessment application to perform an IT infrastructure assessment and discover what is really on your network. Keith Barker, CISSP and trainer for CBT Nuggets, shows how enterprise users of NDPMon can utilize the free and open-source security tool for more effective IPv6 monitoring. In this SearchSecurity.com screencast, Keith Barker, CISSP and trainer for CBT Nuggets, provides a tutorial of Splunk to exhibit how to use Splunk for security. Keith analyzes the features available in the free version of Splunk, including a powerful set of predefined searches that can be tweaked to achieve specific results. In this SearchSecurity.com screencast, Keith Barker, CISSP and trainer for CBT Nuggets LLC, walks users through a Zenmap tutorial. He'll provide a brief overview of Zenmap before delving into all that Zenmap's predefined profiles offer. 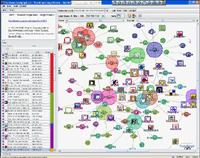 Keith will also divulge one of the features that sold him on Zenmap's uses: its graphical network topology generator. In this SearchSecurity.com screencast, Keith Barker, CISSP and trainer for CBT Nuggets, instructs viewers on how to use Wireshark to detect and prevent Address Resolution Protocol (ARP) spoofing attacks. ARP duplicate IP address detection is already turned on by default, but Barker delves further into Wireshark's features to uncover the "Detect ARP request storms" function. In this SearchSecurity.com screencast, Keith Barker, CISSP and trainer for CBT Nuggets, provides a brief tutorial of pfSense, a free, open source firewall based on FreeBSD. Barker walks viewers through a configuration of pfSense and shows how to use its main features, including stateful packet filtering. Mike McLaughlin shows viewers how to use the FOCA tool to extract metadata concerning user, system and software information, among others. In this screencast, penetration tester Mike McLaughlin offers a brief Burp Suite tutorial that highlights the key features available in both the free and paid versions of the tool. Mike McLaughlin shows viewers how to utilize the GHDB to identify Googledorks, which are Google search terms that identify security vulnerabilities or collect information from servers. Mike McLaughlin demonstrates how to use ShareEnum, a free tool for network enumeration. In this screencast, Mike McLaughlin demonstrates how to use WPScan, a tool that exposes security vulnerabilities in WordPress plug-ins. 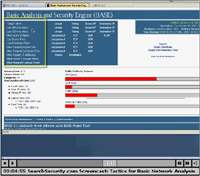 Mike McLaughlin demonstrates the Microsoft Baseline Security Analyzer. 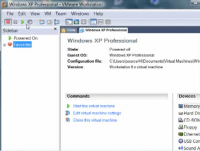 He covers how to conduct a Windows MBSA scan that can quickly determine a Window machine's patch levels and other key security settings. This brief NMAP NSE tutorial shows how to use NMAP NSE scripts to identify potential attack targets, detect versions of various devices and services, and much more. In this video demo, learn how to use the OWASP Broken Web Apps project, which allows would-be pen testers to attack applications that are intentionally insecure in order to help them hone their skills at securing their own apps. In this month’s SearchSecurity.com screencast video, learn about Mantra from expert penetration tester Mike McLaughlin of First Base Technologies. In this WebScarab tutorial video, get step-by-step advice on how to install and use this free tool, including the WebScarab proxy features, among others. Looking for a tool that can scan dozens of network ports and, when it's done, create color-coded reports for executives with its findings, all for free? In this screencast, Peter Giannoulis of The Academy Pro explains how to use the free community edition of the eEye Retina scanner. Looking for ways to improve employees' browsing security? 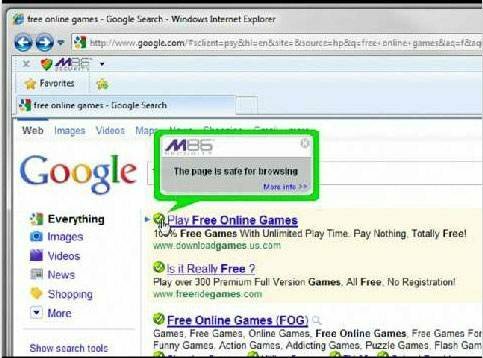 Learn about the free Secure Browsing plug-in from M86 Security. Learn how to use P0f to fingerprint any OSes connecting to or from your system, as well as firewalls, IDSes or honeypots for even greater visibility. Learn how to use the free tool ngrep to find new malware that antivirus or IPS might not pick up on. In part two of this screencast, Peter Giannoulis of TheAcademyPro.com uses OSSEC screenshots to demonstrate a few of the many functions this free IDS boasts. In part one of this screencast, learn how to install the free, host-based intrusion detection system OSSEC, with step-by-step instructions on setting up an OSSEC server on Linux with an OSSEC Windows agent. If you're an auditor, or are looking to perform an internal audit, Microsoft's suite of Sysinternals tools could greatly help you. Learn how to use these free tools in this video. This month, Peter Giannoulis from TheAcademyPro.com shows how to use the Angry IP scanner for a thorough, free port scan that gathers MAC address, port, hostname and NetBIOS information. Learn how to use the community version of Netsparker: A Web app testing tool that scans and tests for vulnerabilities such as SQL injection and cross-site scripting. And the best part? The community version is entirely free. In this month's screencast, Peter Giannoulis of TheAcademyPro.com explains how to use StreamArmor to detect alternate data streams that may be hiding rootkit data. 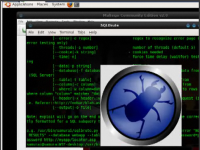 Peter Giannoulis offers a video demonstration of Malwarebytes' Anti-Malware, a free tool that can eliminate many of the especially difficult or hidden viruses and malware on infected machines. In this month's screencast, Peter Giannoulis of TheAcademyPro.com explains how to use the hping command-line tool to craft packets for numerous security scenarios in Windows, Mac, Linux and Unix OSes. In this month's screencast, Peter Giannoulis of TheAcademyPro.com details how to not only use Truecrypt to create an encrypted drive on a Windows PC, but he also explains how to create a hidden drive within a drive as an additional data protection measure. The wireless detection tool Vistumbler is a lot like Netstumbler, except it supports Windows Vista and Windows 7. In this demo, learn how to use the tool to find rogue wireless access points on your network. Peter Giannoulis also reveals how to export access point GPS locations to Google Earth. Watch Peter Giannoulis as he demonstrates OpenVAS, an open vulnerability assessment system. OpenVAS is a free network secuity scanning tool, much like Nessus. In his presentation, Peter explores the tool's set of NVTs, or network vulnerability tests, that will detect security problems in remote systems and applications. This month, Peter Gianonulis reviews a valuable Web application scanner that will assess your publicly facing servers, detect vulnerabilities and mitigate threats. Peter demonstrates how to conduct a basic assessment for Web spidering, HTTP fingerprinting and cross-site scripting. In fact, N-Stalker has 20,000 signatures -- not bad for a free product. This month, Peter Giannoulis provides a demo of BackTrack 4, the final version of the venerable pen-testing live Linux-based CD distribution. The penetration testing tools are installed and ready to go, and they can save you valuable time. Watch as Giannoulis samples the many testing features and demonstrates how to get BackTrack 4 up and running in a virtualized environment. You may think that Linux distributions are only for the highly trained IT professional, but Smoothwall, in fact, requires no knowledge of Linux whatsoever. Peter Giannoulis, in his latest screencast, shows you the features of the open source firewall and how to install it in a VMware image. Peter Giannoulis looks at a a free, Linux-based malware detection tool and rootkit scanner: Rootkit Hunter. The tool, which scans for backdoors and local exploits, can also detect behavior that may not be easily caught by AV, including default files and hidden files used by rootkits. In this screencast, Peter Giannoulis reviews the Samurai Web testing framework, a collection of the best Web penetration testing tools put together on a a live Linux CD. If you're a pen tester, or if you perform vulnerabilitiy assessments, you don't have to build all of these tools on your own dedicated operating system. Learn about the Microsoft Baseline Security Analyzer (MBSA), a free tool provided by Microsoft finds misconfigurations in Windows operating systems. The MBSA uses Microsoft's recommended security configuration to determine how you can further secure your system. Learn how the Maltego tool can be most effectively used during the information-gathering phase of a penetration test. 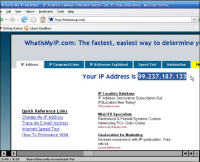 In this on-screen demo, Peter Giannoulis reveals some of the trust relationships of SearchSecurity.com itself. Brute-forcing Windows passwords is easier than you think. Peter Giannoulis explains how the Cain and Abel tool can be used to recover your precious credentials. One particular open source network sniffer hasn't received the attention that it deserves, at least according to Peter Giannoulis. Watch as Peter demonstrates how to use Network Miner, a free, Windows-based tool, to identify ports, protocols, operating systems and other services. Metagoofil, a free tool, provides users with the ability to extract hidden metadata from public documents, including Word docs, PowerPoints and PDFs. Learn how penetration testers can use this tool to analyze a network and assess the security of a website or Web server. Tor, a security tool that permits anonymous Web surfing, can be used for both good and bad. In this demonstration, learn how network administrators can mask their locations and improve their audits. Nipper, a free and open source network infrastructure parser, can do more than make your config look pretty. Learn how the tool can produce security audit reports on your network devices. Peter Giannoulis demonstrates how to review your network topology and see where you can enhance it. Penetration testers who are looking for flaws in their Internet-facing Web servers can use the freely available Wikto. See for yourself what kinds of information that Wikto can gather about a specific website -- including its good and bad directories -- and which plug-ins will allow you to get the most out of the free tool. Wireshark, a favorite network protocol analyzer, has plenty of forensic capabilities. See the kinds of traffic that the free tool can catch, including files from tcpdump, Microsoft Network Monitor, Sniffer Pro -- and even recorded VoIP calls. WinHex performs forensics and also specializes in low-level data processing, drive imaging and file or program analysis. It can even prevent security leaks because of its ability to destroy or wipe data securely. 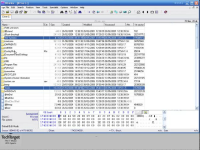 Watch Peter Giannoulis as he reviews one of the Winhex's main functions: its ability to find and return deleted folders and lost data. The Open Source Security Testing Methodology Manual (OSSTMM) allows you to perform many security tests on your firewalls, intrusion detection systems, passwords and much more. Watch Peter Giannoulis as he introduces the manual and demonstrates how it can be used to defend machines from a brute-force dictionary attack. Learn which parts of a security architecture need to be tested and how to properly measure your results. Metasploit allows hackers and security professionals alike to examine how well a given system can handle known exploits and payloads. Expert Peter Giannoulis demonstrates how the freely available tool can be used to test commercial and custom-made applications, servers and operating systems. In his presentation, Giannoulis shows how one unfortunate Windows user's machine can be easily taken advantage of. Nessus is the granddaddy of all information security tools. While no longer an open source tool, it still exists as freeware and is actively supported with new signatures. In this screencast, Peter Giannoulis of Bones Consulting demonstrates how enterprises can use Nessus to assess vulnerabilities and help protect critical systems and networks. Built upon Insecure.org's "100 Best Tools," the Network Security Toolkit is improving the jobs of information security professionals everywhere. Tom Bowers, managing director of security think tank and industry analyst firm Security Constructs, uses this latest screencast to explore the collection of networking and security gear. Bowers reviews the basics of the browser-based security toolbox, including proper configurations and tool selection. Snort is a robust tool that can be used in a number of ways to assess the security posture of a network, but it takes time to learn, and it can be tricky to obtain all the data that Snort can provide. SearchSecurity.com contributor Tom Bowers provides a demo for those using the tool for the first time. Bowers offers a brief introduction and history of Snort and explains what the IDS can do for information security pros. Search engines and related tools are not only handy when it comes to finding information on the Web, but they can also help security professionals ensure an organization's intellectual property doesn't slip off the network and into the public domain. Tom Bowers demonstrates how a few basic "Google hacking" methods can offer fascinating competitive intelligence for your enterprise. .
Unified threat management technologies provide protection against various network attacks, but properly configuring UTM boxes can be a whole other battle. In this exclusive screencast, expert David Strom gives an easy-to-follow, on-screen demonstration of the configuration options available in SonicWall's unified threat management product. In simple steps, Strom explains how to set up a SonicWall box, interpret its alerts and adjust security policies accordingly to ensure that a network has optimum protection.